I demo’d the P790 7i (30.5°) with the original DG S300 against the MMC 6i (28°) with the original DG S300. Despite the loft differences, my carry averages with these clubs were 1 yard apart. 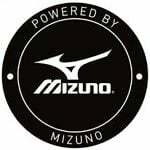 Love the feel of the Mizuno MMC’s but you can’t deny the distance gains of the P790’s. Despite swinging about 5 mph off my normal swing speed I was pleased with the results. Dispersion went to Mizuno by a couple yards. I have both sets in my arsenal with Modus 105 Stiff. For me the P790 7i, CHS was 90, Peak was 39, descent was 47.5, Spin 5975 rpm, carry was 186, what concerned me was the occasional 195-200 shot. Like I said I only hit the jp900 forged and had similar numbers, was avg a few yards less, but the consistency was better. Guess I really need to hit the MMC to figure this out. Forgiveness I will give the slight edge to P790, but not by much. The MMC was more consistent distance wise for me. There was a 4 yard difference longest to shortest. The P790 was 6 yards. Once the weather improves my testing will consist of hitting shots from knarly lies in the rough with 7i to PW to see what happens. Having played Mizuno irons and wedges for over 12 years I am leaning towards the MMC’s. The P790’s feel nice just not quite Mizuno forged nice.